I am a big fan of Niyola. I believe that she deserves to be number one. All the ladies in this list are extremely beautiful and talented. You should also do a list of the top ten beautiful men as well. Who do you think should be on that list? Please, give your answers honestly. Nigeria is undeniably the home to the best variety of musicians in Africa many of whom are females. Many dozens of female Nigerian musicians dominates the industry in Africa and this has led to questions like: Who is the most beautiful musicians in Nigeria? Which Nigerian female musician is the most sexiest? Many say beauty is ambiguous but what is beautiful is generally acclaimed beautiful. The umbiased list of the most beautiful musicians in Nigeria below portrays the beauty there is in the Nigerian music industry. Tiwatope Savage-Balogun better known as Tiwa Savage who is an indigene of Isale Eko was born in Ikeja all in the same state of Lagos . As a singer, her debut studio album is 'Once Upon a Time', which released on 3 July 2013. Singles like " Kele Kele Love", "Love Me ", "Without My Heart", "Ife Wa Gbona", "Folarin", "Olorun Mi" and " Eminado" were all in the album. Her second studio album, which she named R.E.D, was released on 19 December 2015. It produced the singles "My Darlin'", "African Waist" and "If I Start To Talk". Savage sings in English and Yoruba. The famous female acts has many achievements in her accolade. They include an MTV Europe Music Award, MTV Africa Music Award,one Nigeria Music Video Award, two City People Entertainment Awards, two The Headies Awards, one Channel O Music Video Award. Tiwa Savage was married to Tunji "Tee Billz" Balogun around November 2013 but they had since parted ways. The husband had accused his wife of infidelity and her mother of witchcraft. She disagreed her husband's infidelity claims and accused him of financial recklessness, drug addiction, and abandonment. Before parting ways, Tiwa Savage gave birth to her son Jamil Balogun which is her only child. Cynthia Ikponmwenosa Morgan is one of Nigeria's beautiful musicians. She was born on 23 September 1991 in Benin city,Edo state(where she is from). She is widely known for her single 'Don't break my heart' which released months after signing a recording contract with Northside Entertainment Inc. owned by Jude 'Engees' Okoye. She also released "Lead Me On" which also received positive reviews and was nominated for "Best Reggae/Dancehall Single" at The Headies 2014. Eniola Akinbo is an attractive looking Nigerian female act. Niyola is from lagos state. She was signed to Empire Mates Entertainment in 2012 as the first lady in the house. One fact about her is that she makes her body part of her music. The fact that she is indeed beautiful closes the case. Rachel Akosua Funmilola Garton was born in 1991 to a British father and a Ghananian mother. Her reputation in music was first noticed when released her debut single "Watch My Ting Go". She was nominated as the "Most Promising Female Act to Watch" at the 2013 Nigeria Entertainment Awards. 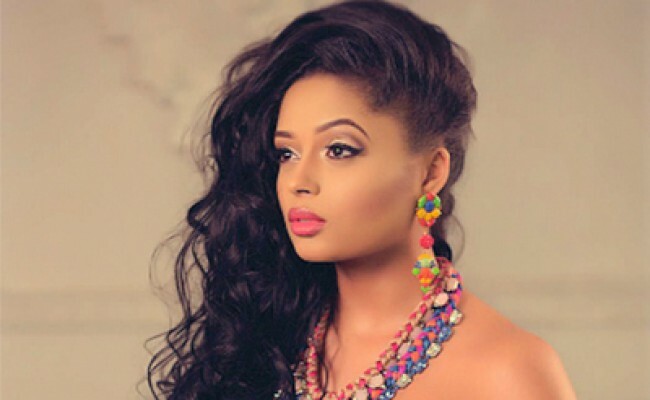 Lola Rae also featured Iyanya on a song titled Fi Mi Le which earned her another nomination at the 2014 Nigeria Entertainment Awards. Her beauty aswell adds to her profile in the industry. Deborah Oluwaseyi Joshua is a pretty Nigerian musician born on December 21,1985. She is more likely known by her stage name Seyi Shay. She was born and raised in Tottenham, London, England, to Nigerian parents. The lady is good in music as she is good in looks. In July 2015, she signed a record deal with Island Records and released her debut studio album, Seyi or Shay, in November 2015. Single like "Irawo", "Ragga Ragga", and "Chairman" were all part of the album. She once had an endorsement deal with telecommunications service provider Etisalat. Simisola Bolatito Ogunleye most known and referred to as Simi is one of Nigeria's beautiful but successful singer and songwriter. She began her singing as a gospel singer, releasing her debut studio album in 2008 titled Ogaju. She came to fame when she released " Tiff", which was nominated in two categories at The Headies 2015. 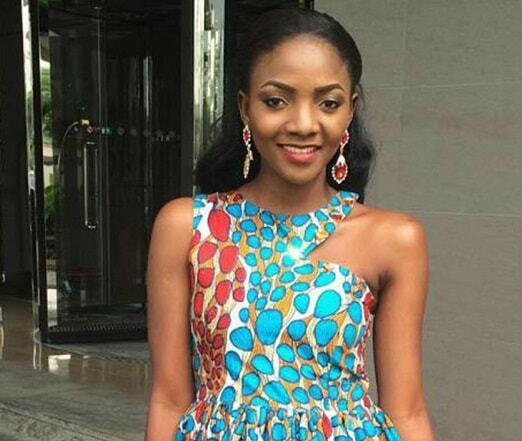 Simi is currently signed to X3M Music under which she released her second studio album Simisola. Some her familiar songs include: chemistry, which she featured Falz, Owambe and Love don't care. According to the singer, beauty is given to women not by tons of cosmetics, but by an inner sense of happiness and love for themselves and the world around us. You surely have to agree to it. 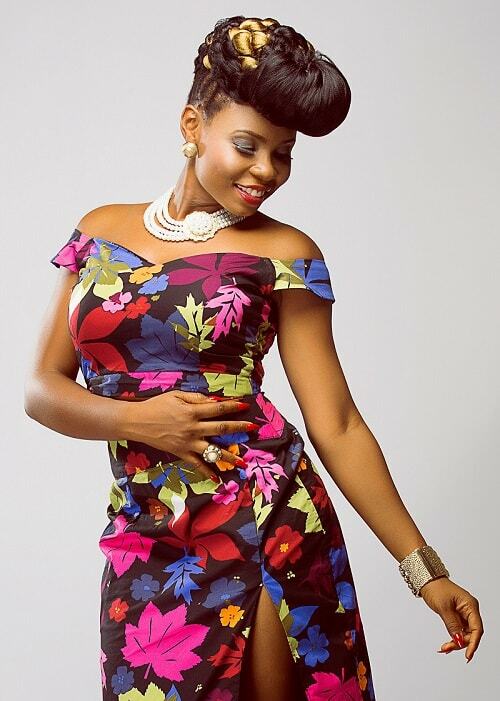 Yemi Eberechi Alade professionally known as Yemi Alade is one of Nigeria's beautiful act. In 2013, her single, "Johnny", produced by Selebobo, was leaked on the internet. The song became an international hit in Tanzania, Kenya, Ghana, South Africa, Liberia, Uganda, Zimbabwe, and the United Kingdom, among others. She is also nicked 'Mama Africa' which is the name of her latest album. Most men would admit the beauty in Florence Ifeoluwa Otedola; i don't know for women. She was born November 11, 1992 and is most known as DJ Cuppy. She is a Nigerian disc jockey and producer. She is the daughter of Nigerian businessman Femi Otedola. She has a Master's Degree in Music Business from New York University in 2015. DJ Cuppy became one of Pepsi's DJ ambassadors in Nigeria and was also announced as an Official DJ Ambassador for Pepsi. Munachi Abii shortened Muna is another of Nigeria's beautiful queens. During her second year at the benson Idahosa University in 2007, Muna won the Most Beautiful Girl in Nigeria pageant. Aituaje Iruobe better known as WAJE ( "Words aren’t just enough"), is a Nigerian singer who is a native of Edo state. She rose to fame when she featured as the female voice in Psquare’s 2008 track “Do Me". She was also featured on Banky W's "Thief My Kele" and M.I's "One Naira". She is a strong female musician and a beautiful one as well.